Welcome to Ken Caryl Dental Center! 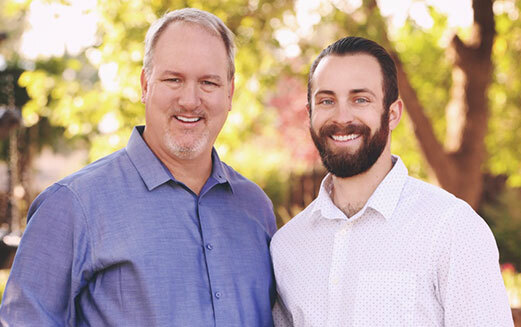 Dr. Alan C. Goral and Dr. Jason P. Rand are experienced in creating beautiful, healthy smiles and helping patients maintain them. Our dentists and team are available to provide all phases of family and cosmetic dentistry. We are knowledgeable and friendly, and we look forward to giving you the smile of your dreams! Since 1977, Ken Caryl Dental Center has served the community, and our dentists have continued that tradition since 2002. In addition to gentle preventive and general dental care for all ages, including toddlers and seniors, Dr. Goral and Dr. Rand provide Invisalign®, VELscope oral screening, E4D all ceramic crowns in a day, dental implants, whitening for life, veneers, white fillings, and laser treatments. Whatever your dental needs are, we are here to help, and we care. Please use the menu at left to navigate our site. For current patients, you can request appointments or contact us with questions. For new patients, you can request appointments and fill out new patient information. Our team has offered excellent dental care in Littleton, Colorado, and in the neighboring communities of Lakewood, Highlands Ranch, Denver, and Morrison, Colorado, since 1977. If you have any questions about the dental care we offer, please feel free to contact us today. Our team is dedicated to meeting your needs, no matter what they are, and we are anxious to hear from you soon!